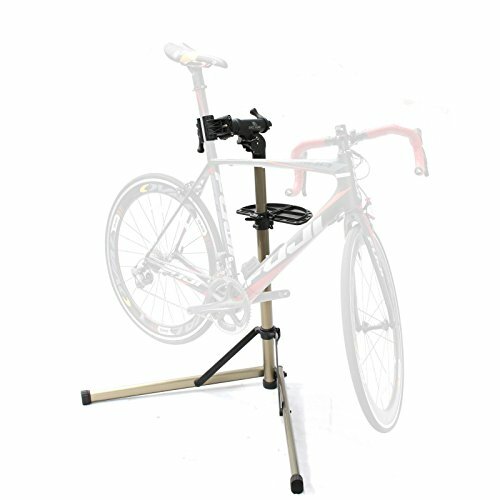 Body: Full Alloy Aluminum Height: Quick Release Adjustable (1m-1.5m or 39"-59" Fully extended) Head Rotated:360 Degree Tool Plate: Foldable Tool Plate Included Colour: Silver Limited weight of bike:25kg (55.1 lbs.) Weight:4.88kg/set (10.75 lbs.) Made in Taiwan Warranty: 1 Year.